Can you believe another week has flown by? 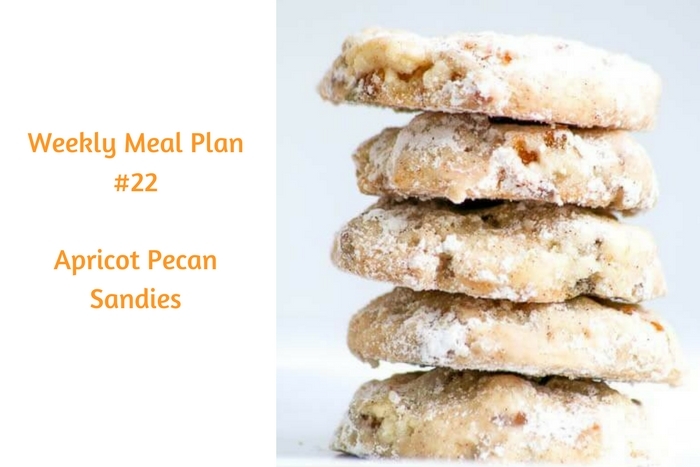 I think Weekly Meal Plan #22 is perfectly timed because I was looking for a few new delish ideas. 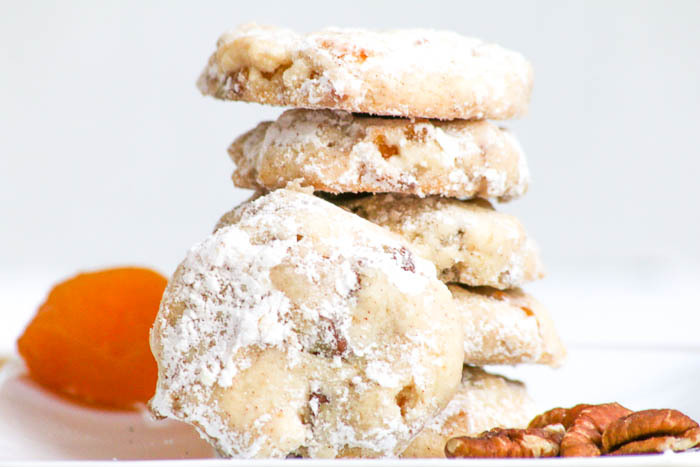 My Apricot Pecan Sandies are a cool twist on a classic cookie. After all, it’s fun to mix things up here and there, don’t you think? The cookies still have that delicious pecan buttery taste but the addition of dried apricots adds a lovely flavor. Without further ado, let’s get busy in the kitchen with Weekly Meal Plan #22!